If you read my articles fairly often, you've probably heard me go on and on about sentences and clauses, but noticed I’ve dodged the topic of phrases…until now. There are several types of phrases, and some of them seem to have different names depending on their function in a sentence. You probably use them without really knowing how they work, so we will go over each type. Like clauses, phrases can stand in for a part of speech like a noun, adverb or adjective, depending on their position in the sentence and what parts of speech (nouns, verbs, prepositions, adjectives, etc.) surround them. In this way, phrases are one of the most mutable pieces of English Grammar. Stay with me as I go through each type. It’s not as straightforward as it would seem. As you might guess from the name, a prepositional phrase contains a preposition. Prepositions are words that talk about the relationship between two things. Examples of prepositions are in, on, under, over, beneath, with, without, out, of, from, to, toward, before, after, etc. A prepositional phrase must also contain an object of the preposition. This can be a noun (person/place/thing), a pronoun (he/she/it) or a group of words that are functioning as a noun like underwear bandits or that place with the thing. Prepositional phrases usually function either as an adjective or as an adverb in a sentence. Any day without your sweet, sweet lovin’ is a very sad day. The preposition without starts the prepositional adjective phrase without your sweet, sweet lovin’, and the whole phrase modifies the noun day. If you can’t find it, look under where the cat likes to sit. The preposition under starts the prepositional adverb phrase under where the cat likes to sit, and the whole phrase modifies the verb look. Verbals are words made from verbs but which don’t actually act as verbs in a sentence. There are three types of verbals—gerunds, participles, and infinitives. Note: There might be other past participle endings depending on the verb. To find out the past participle form of a particular verb, you may have to look it up. Getting up in the morning is hard to do. Some graduates wore tassels earned by good grades. Earned is the participle, and earned by good grades is a phrase that functions as an adjective modifying the noun tassels. To read Shakespeare is to suffer. To read is the infinitive, and to read Shakespeare is a phrase that functions as a noun and as the subject of the sentence which is performing the verb is. The sales people train to make you feel good about your purchase. To make is the infinitive, and to make you feel good about your purchase is a phrase that functions as an adverb that is modifying the verb train. The man couldn’t control his tendency to hiccup when he drank soda. To hiccup is the infinitive, and to hiccup when he drank soda is a phrase that functions as an adjective that is modifying the noun tendency. Hands waving frantically, Sarah caught the attention of the handsome celebrity as he walked by. Dishes placed in the sink, he then wiped the counter. Polyester, a synthetic fabric, is used to make most outerwear these days. A synthetic fabric is a phrase that functions as a (and contains a) noun—fabric. It defines the noun of the main part of the sentence—polyester. The whole phrase is set off by commas because it is not necessary to the sentence; it can function grammatically and be understood just fine without the clause. Legos, those interlocking plastic blocks, were always the most popular gift at Christmas. The wrinkly old lady over there, otherwise known as ‘The Red Madame’, was the last person to operate a brothel in this town. We tend to know how to use these types of phrases instinctively, but it’s good to understand the mechanics when you need to fix a sentence that just doesn’t sound right, or when you want to liven up a particularly dull sentence. Sometimes, too, phrases can add unnecessary complexity. Appositive phrases, for example, may not be necessary unless you are sure your reader needs the extra definition. 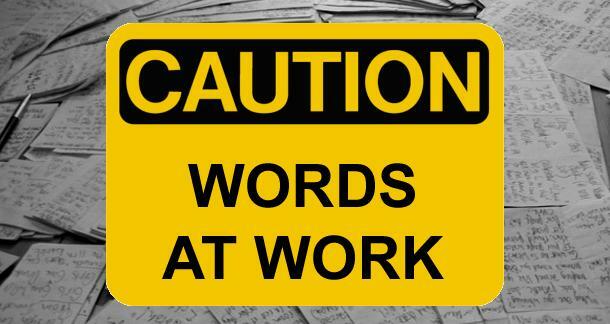 As you may have noticed as you read through this article, phrases have many jobs, and they sometimes perform more than one duty at a time. This makes them a dynamic implement in our writing toolbox. Thanks so much for this Taylor - helps to clarify those muddly little things, and at least give names to faces as it were.